I get it. You want to save money. And I don’t blame you. Getting a new website is expensive. After all, you might be pretty IT savvy. How hard can it possibly be? Creating a good website is NOT about technical skills. There are many experienced IT companies out there that have terrible websites. IT skills alone won’t deliver a profitable website. So if you’re thinking about creating your own website, please take a few minutes to read this post. It could be the most important article you’ll read all year. For those who have limited technical skills, it may be tempting to design your website using drag and drop software via companies like WIX, Weebly or Squarespace. These companies would have you believe that you can knock up a quick website within a day, sit back and let the money roll in. It might seem easy enough to get started but you’ll quickly realise that there is a LOT more to it. Especially if you want to add or change anything which is outside of their restrictive templates. Even if you do spend a few weeks or months getting it to look exactly as you want, chances are the final design is not what you’d get from an experienced web designer. This is why I wrote this article. I wanted you to be fully aware of the complications before you waste time and money trying to build your own website. 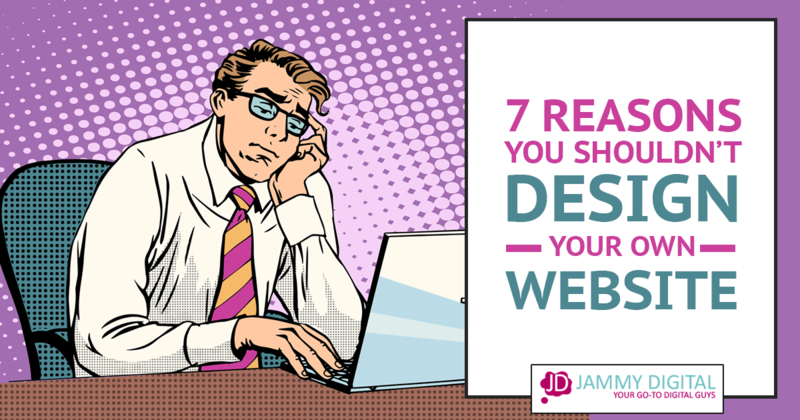 Here are the 7 main reasons why you should avoid building your own website and pay a professional instead. Design is not something you can simply pick up in an afternoon. You can’t learn how to design a website without years of experience. Above all else, website design is about building TRUST. Without a solid understanding of design, you’ll almost certainly get it wrong. Your competitors on the other hand, might choose to hire a professional web designer and avoid any mistakes. If you feel like your design skills are limited, then be honest and hire somebody to help. You’ll save yourself a lot of time and get something that looks professional. SEO or search engine optimisation is an ever changing landscape. Search engines change their rules all the time and what worked last month might not work this month. 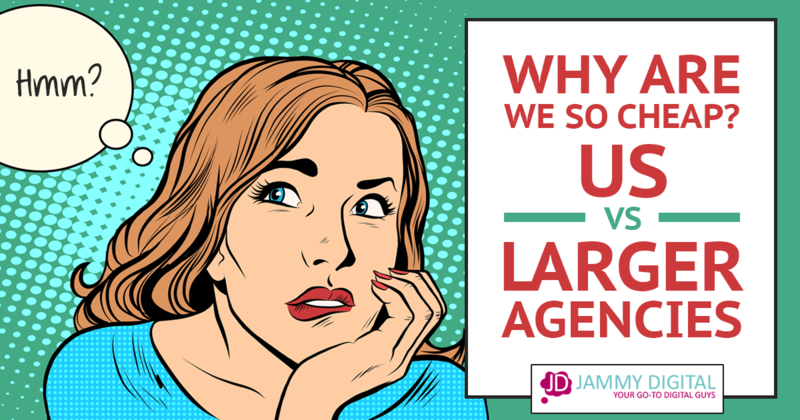 I’ve been helping clients with SEO for years and I’m still constantly listening, watching and testing to see what’s changed with Google and the other search engines. If you don’t feel comfortable with SEO, you could be making some critical mistakes with your website. 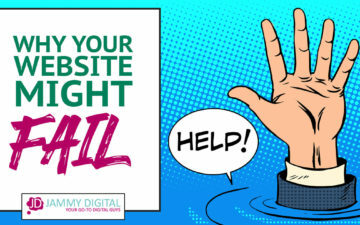 Mistakes that could cost you 100’s or 1000’s of monthly visitors to your website. You will need to decide if it’s worth the risk. Nobody knows your customers better than you. You live and breathe your business everyday and it’s fair to say you know your stuff. We like to think we’re exactly the same. However, when you’re so involved with running the business, it’s sometimes difficult to see things from your customers’ perspective. It’s difficult to imagine what it might look like seeing your website for the first time by a prospect. This is known as “the curse of knowledge”. That’s where we can help. We have the opportunity as your web designer to be able to see the things you’ve missed. Here are just a few of the common errors we see on websites, just within the first third of your homepage! I’m not saying that every web designer will consider how your site will lead to more enquiries and sales. But we do. And a lot of experienced web designers also think that way. That’s why it’s good to have their insight. Like anything technical, building a website is not easy and there will be hurdles along the way. You might be able to pull something basic together with some tutorials and the odd YouTube video, but what happens if something goes wrong? How will you be able to fix it? You could try to figure it out yourself by digging through lots of forums and using trial and error, but this could take days. You could hire a techie and pay for a 1hr consultation but this can cost hundreds of pounds. When you pay a web designer like us, we’ll take care of all this for you. You won’t need to fix anything or find answers to complex tech questions. We do everything for you. We’ve spent years educating ourselves on the technicalities of designing websites and have come across plenty of problems and solutions over that time. There’s no need for you to do the same. Designing websites is a specialist skill. Like any creative skill it requires a number of tools to ensure the job is done correctly. Most of these tools are expensive but they are necessary. Especially if I want to create high impact websites for my clients that perform well in search engines. If you don’t have these tools and/or know how to use them, then you might not get the result you’re hoping for. It took me a good few years to learn how to use these tools and even longer to use them effectively. Learning to build a website from scratch can take a long time, especially if you aren’t very technical. Even if you’re using drag and drop tools you may need to do a lot tweaking to get it right. Not to mention all the image editing and resizing to make it look good and load quickly. You might need to make ongoing changes for months to make sure it looks professional enough to show to the world. As you know, time IS money and whilst you’re learning how to build a website, you’re not managing or marketing the business. It took me two years and many failed attempts to learn how to craft a remotely “good” website. It would be difficult for anyone to create a highly profitable website within a couple months. I would save yourself the time and the headache and find a web designer. Even if you do have the time to create your own website, chances are your competitors websites will look superior. I’m not trying to be mean, but if they have paid for a professional website to be designed and you haven’t, the likelihood is that theirs will work better. Many businesses understand the importance of quality, which is why they choose to pay a web design company instead of doing it themselves. If you are trying to stand out then you’ll want to a high quality website then looks better than you competition. I know it’s tempting to try and design a website yourself, even more tempting when drag and drop software looks so easy! 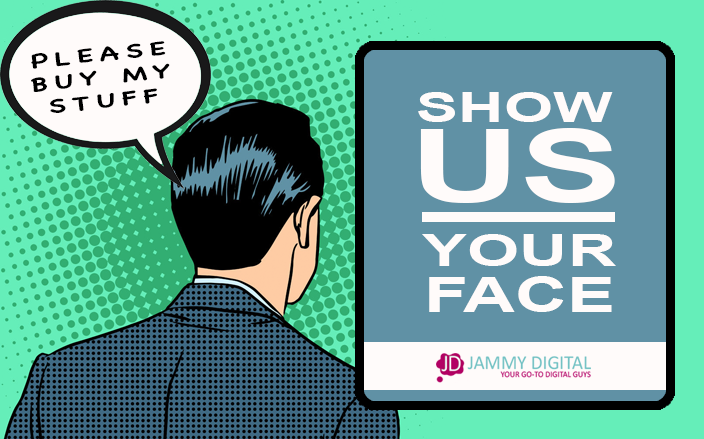 Just consider the points I’ve covered above and think carefully whether or not you have the time, the skills and the patience to create a showstopping website. Most of our current clients hired us to build their website AFTER they tried to do it themselves. Our points above are based on their experiences. With all that being said, you can ONLY hire a web design company if you can actually afford to. If you don’t have the money to hire someone, then designing your own website may be the only option for now. In most cases, having a basic website with helpful content is better than having no website at all. This may appear like a shamelessly unbiased blog post. And it is! But the reason I’m writing it is because I’ve had client after client tell me their frustrations when trying to build their own website. Believe me, at some point you’re going to have to pay a professional if you want your business to be successful. It’s up to you whether you do it now or later. What is your experience of designing your own website? Did you find it harder than you expected? I’d love to hear your thoughts. Please leave a comment below.